Last weekend, in search of a new snorkel site, we decided to check out Roosevelt Roads Naval Base. With great luck we’d find a new super secret snorkel spot, or at least we’d discover a new part of the island. Turns out it was the latter, but still a pretty neat find! Roosevelt Roads is located on the easter edge of PR in the town of Ceiba. It’s a little less than an hours drive from our place in Carolina. The base has been closed since 2004 but the public has recently been given access to certain areas of the base. What we found was REALLY INTERESTING, it was a ghost town. We passed the high school, youth center, bowling alley, Military Exchange, and tons of houses. It looked like people just left for work one day and never came back. The houses still had blinds, the marquee was still up at the school and the jungle was taking back what it had once owned. We did see a couple sites that would have been nice for snorkeling but the access was blocked by large boulders and mangroves. Such a shame!! We were definitely the only people driving around snooping, maybe they couldn’t fit past the road blocks… but you could see signs that other people know of these little hidden spots to come drink beer and fish. After our snooping adventure we headed back to Fajardo to do a little snorkeling and hang out at the beach. Roosevelt Roads was definitely a fun place to explore, and on a crowded island, it's a treat to find such a beautiful place that isn’t overrun by people on the weekends. The idea for the base was conceived in 1919 by visiting Assistant Sec of the Navy, Franklin Delano Roosevelt. The base wouldn’t become inaugurated until 1943 during WW2 when the US Government and FDR decided they needed an airbase in the Caribbean. Between it’s inauguration and 1957 the based struggled to stay necessary and shut down 8 times until in 1957 it was upgraded from a Naval Operations Base to full Naval Station Status. The 29,000 acre base included the Army’s Fort Bundy and the Vieques, Puerto Rico Naval Training Range and was used to carry out large naval operations and oversee tactical support for land/sea/air maneuvers on Vieques island. 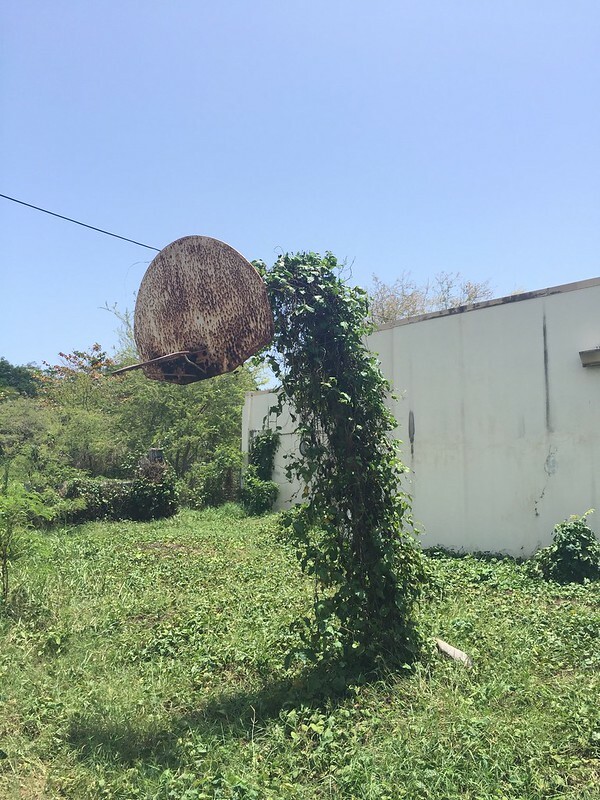 The vast size of the base meant it provided a large source of economic activity for the island and employed many civilian from the surrounding towns of Ceiba and Naguabo. The base has over 100 miles of roads, had 1,300 buildings, and was home to 7,000 military personnel and families. From what I’ve been able to research, the base generated around $300 million annually to the economy. 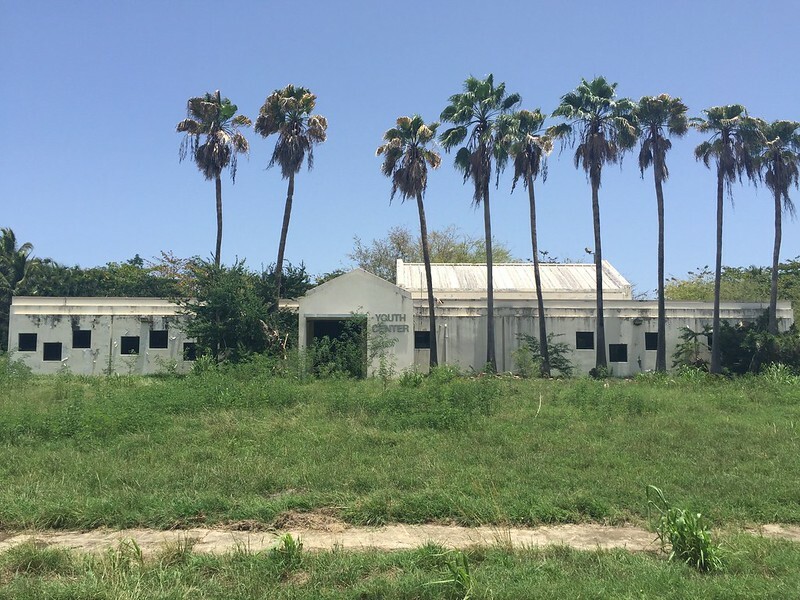 There is a quite a bit of history with the military’s use of Vieques for bomb testing and other operations that I won’t go into here, but eventually the military ceased operations in Vieques in 2001 and in 2004 relocated the U.S. Naval Forces Southern Command Roosevelt Roads to Florida and closed Roosevelt Roads Naval Station. 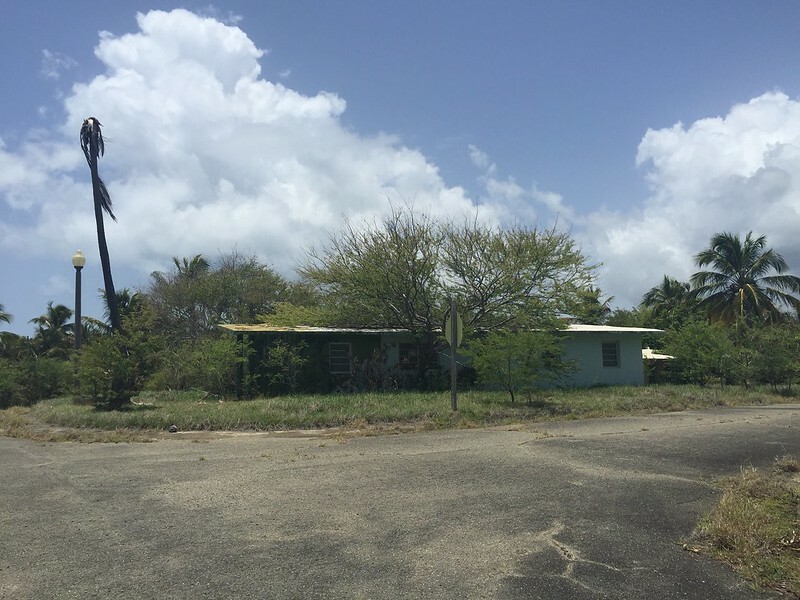 While the military still owns the Roosevelt Roads property and has a small reserve facility on the grounds, most of the land is either closed off to access, used for the small, now public airport or is in the process of being developed for HUBZones for small businesses to rent and use. 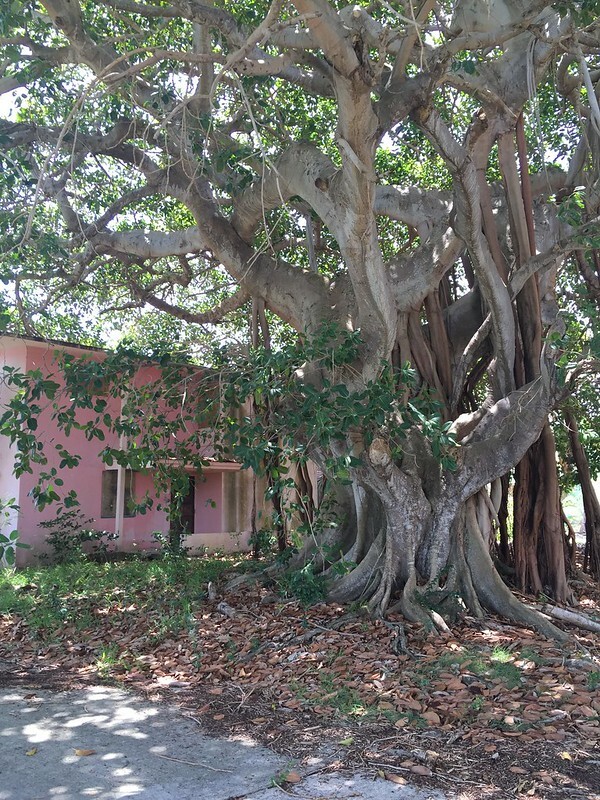 3,000 acres has been sold to the Puerto Rican government to redevelop for mixed use. Most of the proposed development is still in the planning process as was very evident by what we saw there. 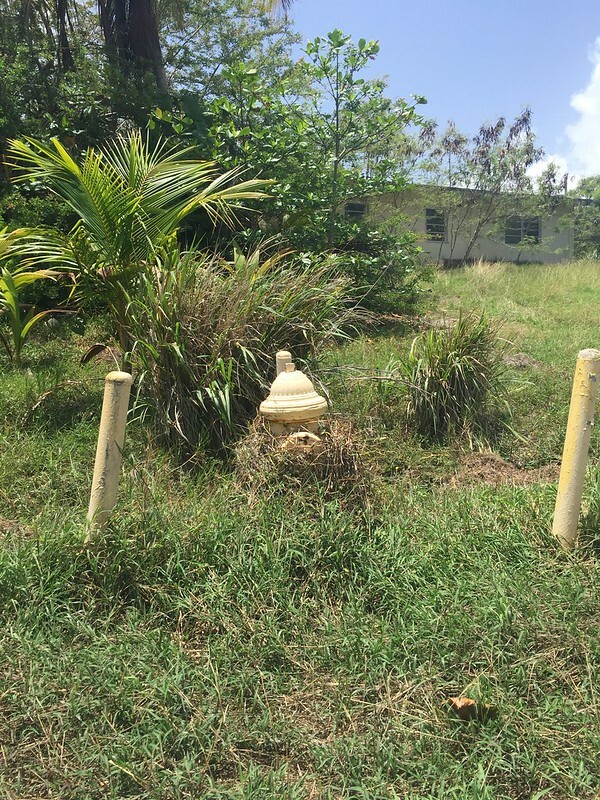 Another 70 acres was given to the DNRA, Puerto Rico's Department of Natural Resources, which includes the area where the snorkel shops are and the Wuanikí Bawá archaeological site which is only accessible by water. The current land use plan includes Economic development, Public, Educational, and Institutional use, Residential Use, Open Space & Recreation, Conservation, and Tourism. There really is a lot of potential and space for all of these to happen. There are tons of existing houses, what look like beautiful reefs, it seems like great cycling as we saw a number of riders as we were driving through, and lots of piers for ships and other water activities. The proximity of the small airport can only help. There are even rumors of SpaceX or Virgin Galactic buying up space in the old hangars. I really do hope the redevelopment plans are successful and the government is able to provide jobs to the suffering towns of Ceiba and Naguabo as they desperately need the boost.